Red the Longhorn paid a special visit to Carver Elementary. Students learned about the important role cattle play in Texas history and culture. 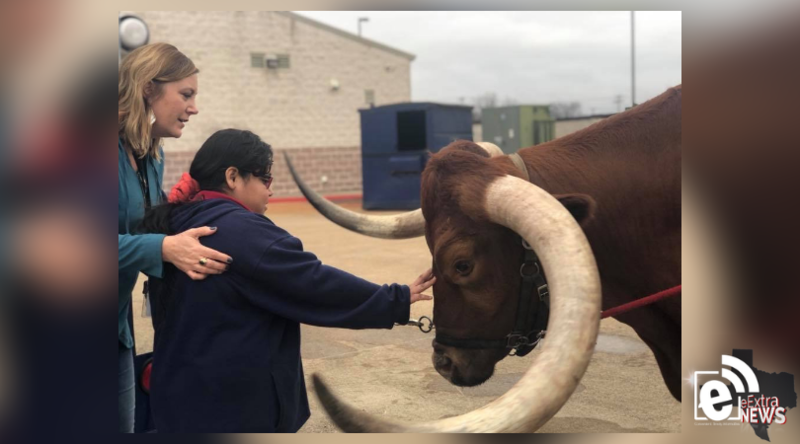 They also got to pet Red, and Principal Stacie Wilson fulfilled her lifelong dream of getting a Longhorn for Christmas (if only for a moment).